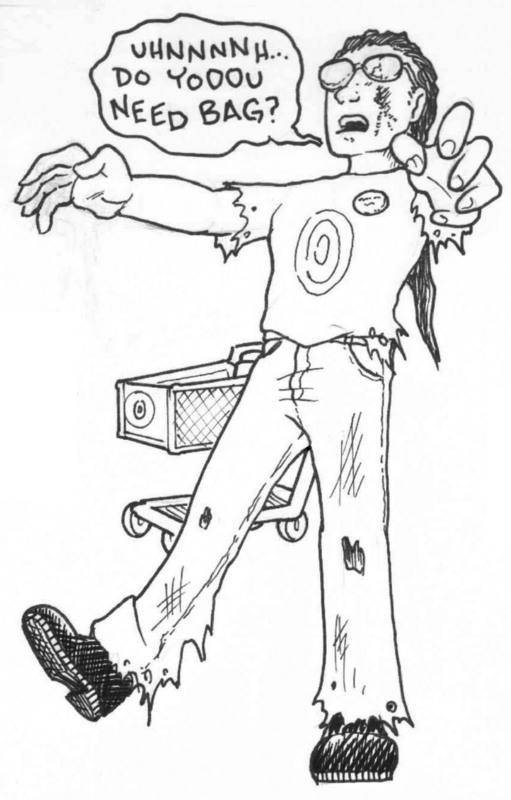 When I worked the 4-8:30am shift at a local Target from 2011 to 2016, I made a lot of jokes about "Target zombies"... which eventually led to me making the "Zombie Garth" that occasionally appears on the side of this website (in desktop mode). The illustration above was the first attempt at it, but couldn't be used because it was just plain too wide for the sidebar! Oh, and for those of you who only see the mobile version of this site, I present below the 'Zombie Garth' that occasionally appears in the desktop mode; after all, why not share the fun?